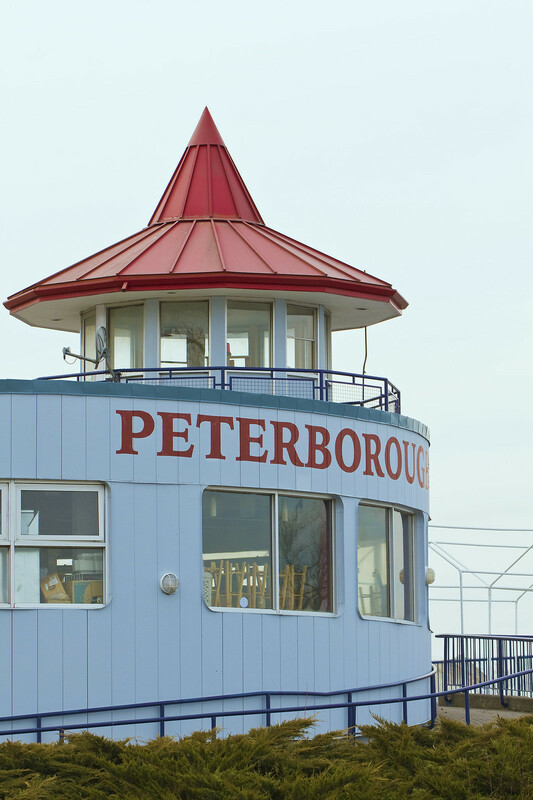 A couple of weeks back, I ventured out along the shores of Peterborough's Little Lake. It was typical March weather - warm in the sunshine but a cool wind. The water's edge was still icy in most spots. 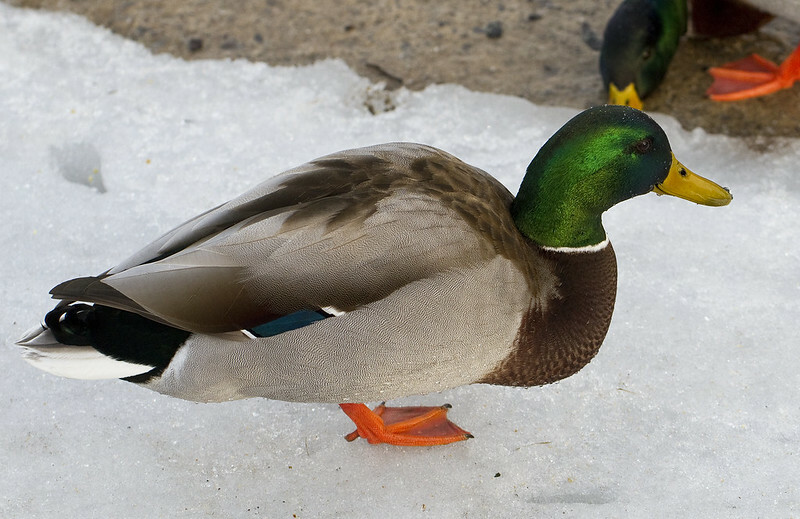 I'd say that this Mallard was doing yoga poses but that would be a... stretch. 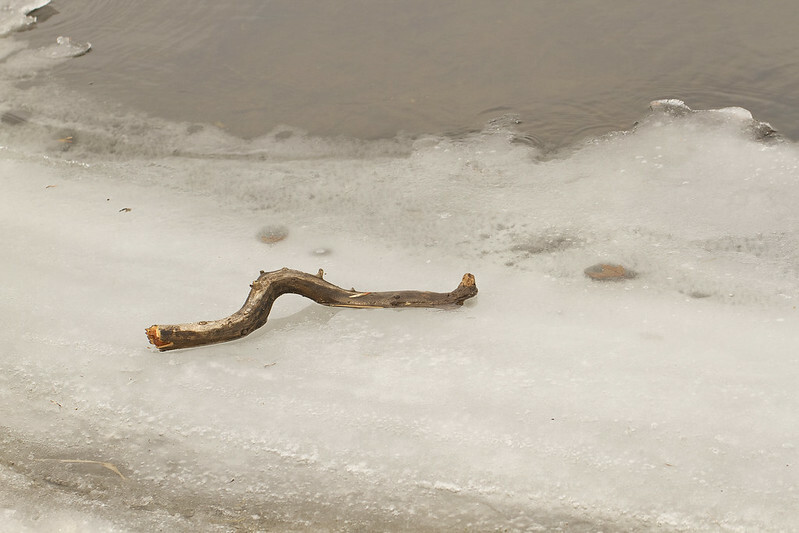 A somewhat weathered branch waiting for further melt to release it. 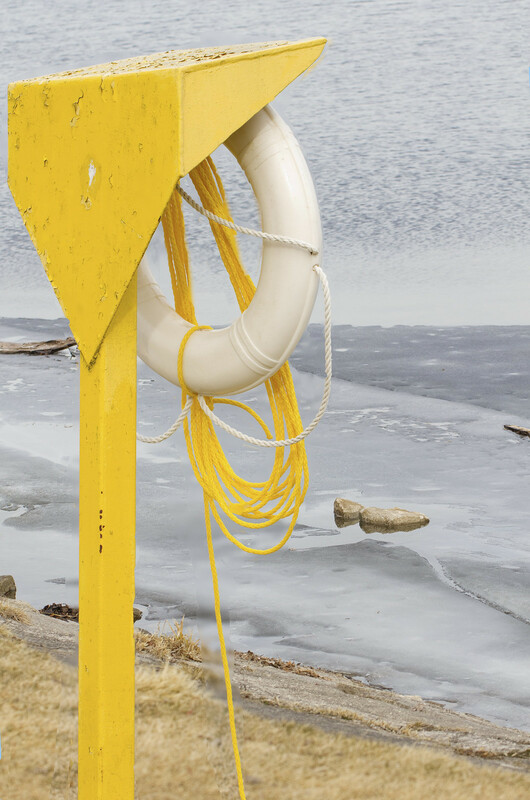 A different view of the icy shoreline. 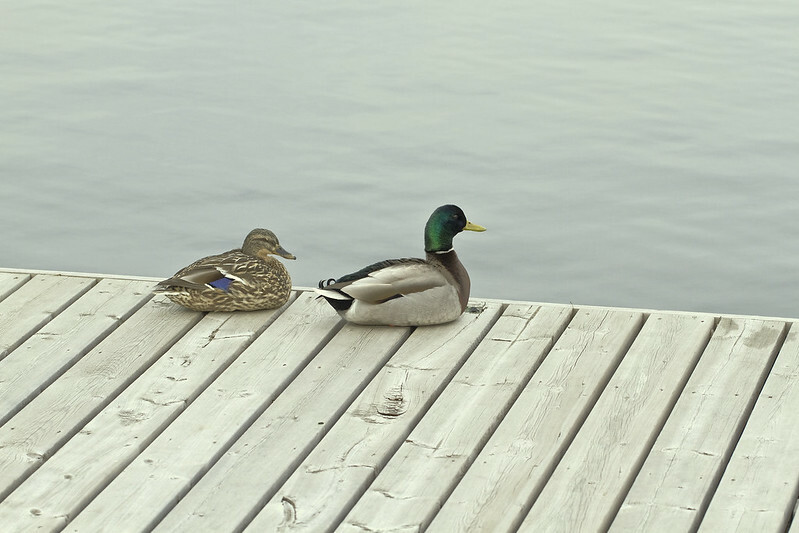 Just a few feet away, at the edge of the dock, these ducks will have a much softer landing. 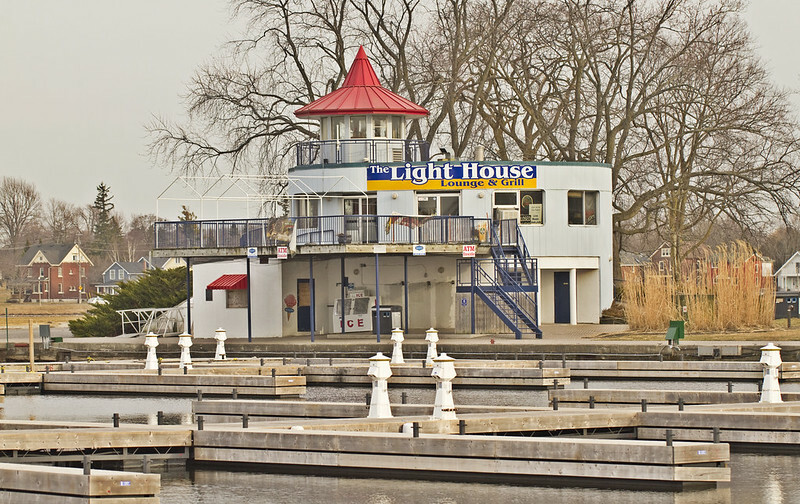 As we approach Del Crary Park, we see the familiar red roof of The Light House Lounge and Grill - not quite ready for the upcoming summer season. Here it is again from a different perspective. One scoop of ice cream can go a long way. Not to mending friendships, but it can get up to 40 yards in the air if you lob it just right. Same spot, up close. 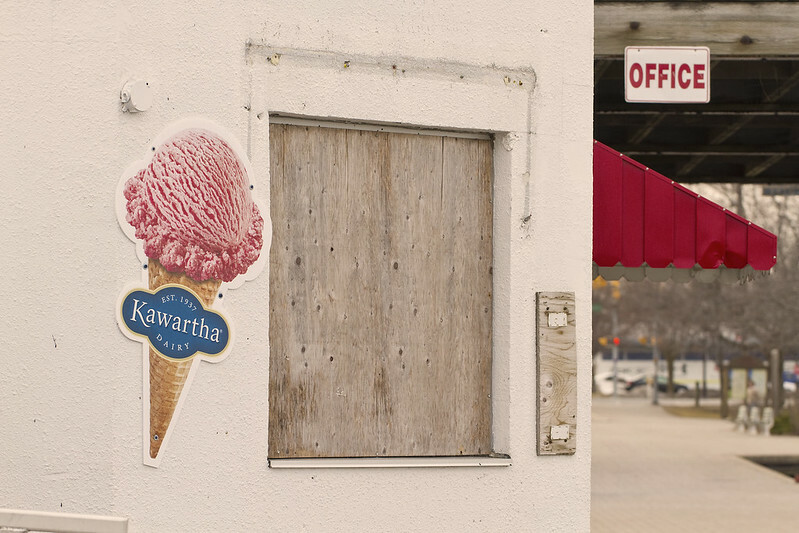 People will be lined up to buy their yummy Kawartha Dairy ice cream here, in just a few months. With the bits of greenery here and there, and the absence of ice, you could almost believe that this was taken during spring or summer but it was the same day - just a little further along the lakeshore. There's a small walking bridge over the water where Jackson Creek rushes in to meet Little Lake. The waters were running rapidly at this point, on this day and I was about to take a photo of it when I heard voices coming from deeper within the tunnel-like setting. Just as I focused my camera, these two came swooshing out of the shadows into full view. The water was still very cold as you can tell by earlier photos of the icy shores, and I was surprised that neither of the paddlers were wearing PFDs. I quickly turned to look over the other side of the bridge. Her hands looked very cold but her smile was warm. There was no doubt that they were having a great time. 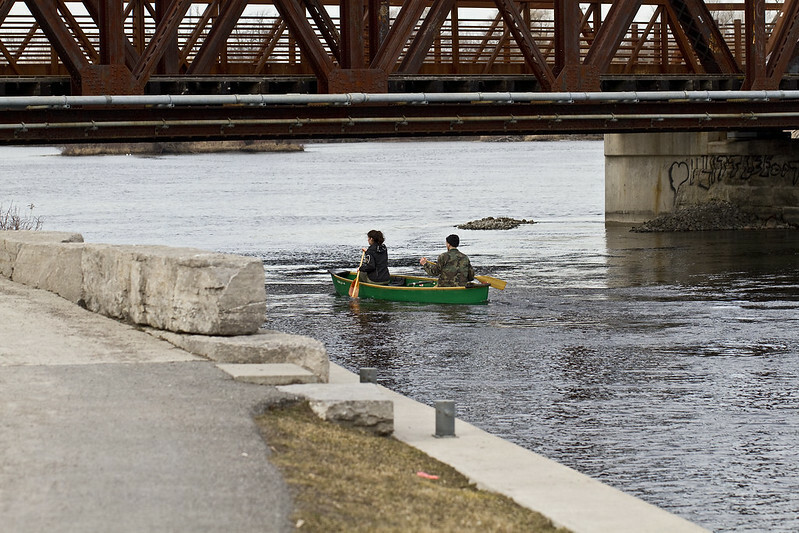 It was most likely their first canoe trip of the season. 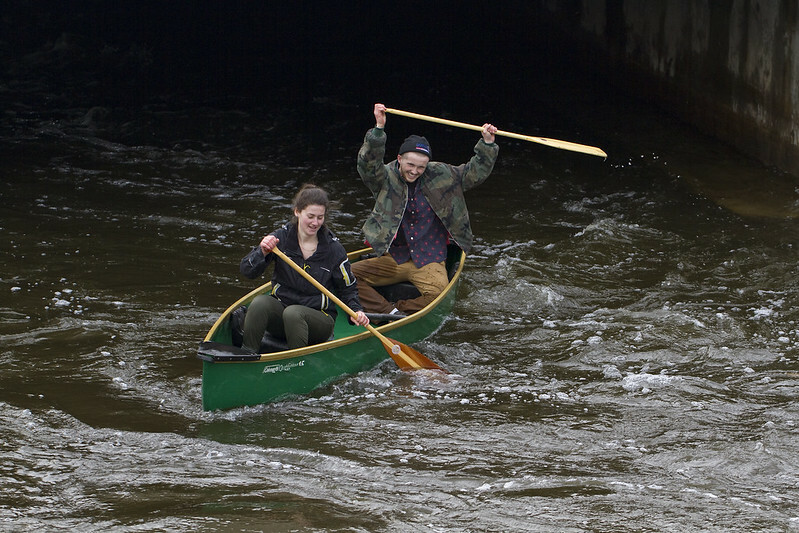 They headed under the railway bridge and disembarked around the next bend. 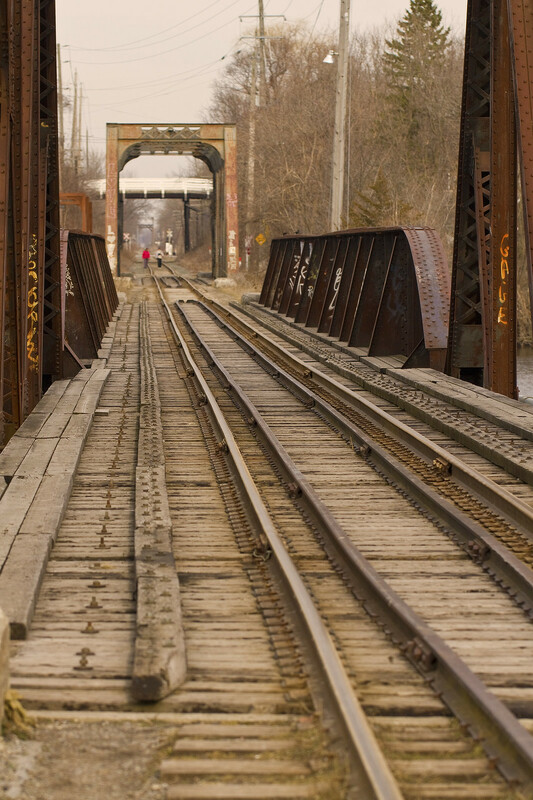 And here's what that bridge looks like from up close. That's it for this walk along Little Lake. I hope you'll join me again whenever my feet make their way back. Spring has officially arrived. 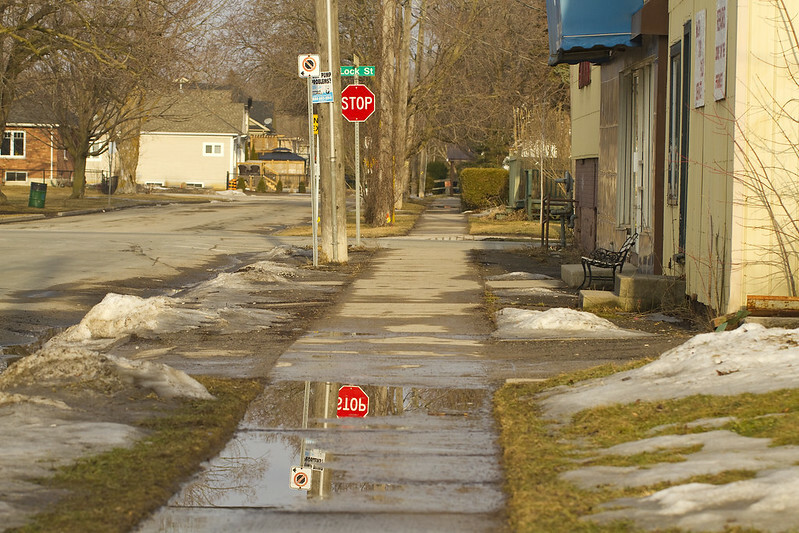 Don your rubber boots and join me on a short walk around the neighbourhood. There's still a bit of snow in the shady spots (or at least there was ten days ago when these photos were taken) but for the most part, it's looking like spring in Peterborough. This little cutie came running to me from his comfy spot on the front porch, demanding a belly rub. 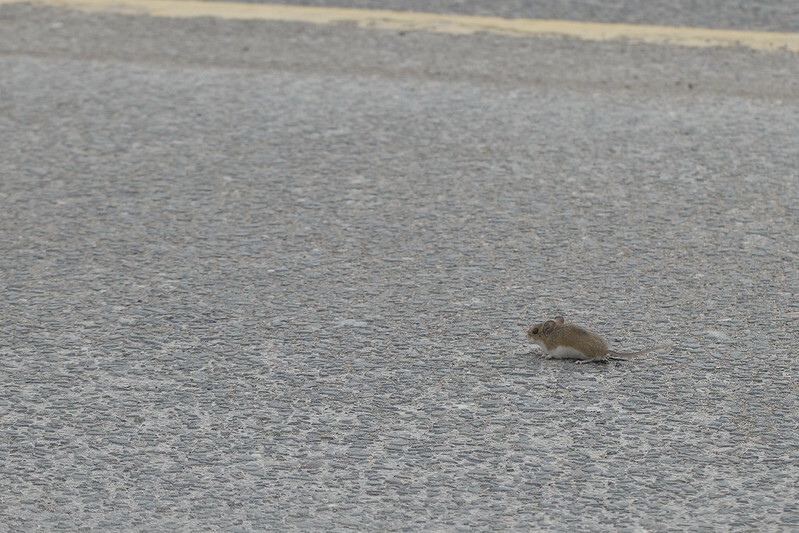 Another cute little scavenger which was nowhere near the cat, thankfully but nearly got himself run over by a car as he panicked and hesitated on the road. I shooed him across the street and he promptly ran into an open door at the back of the gymnastics club. The balanced rocks that sit on the inuksuk...represent the balance we strive to find in our lives. Life is fragile, just like the balanced rocks, but they help us remember that anything is possible. 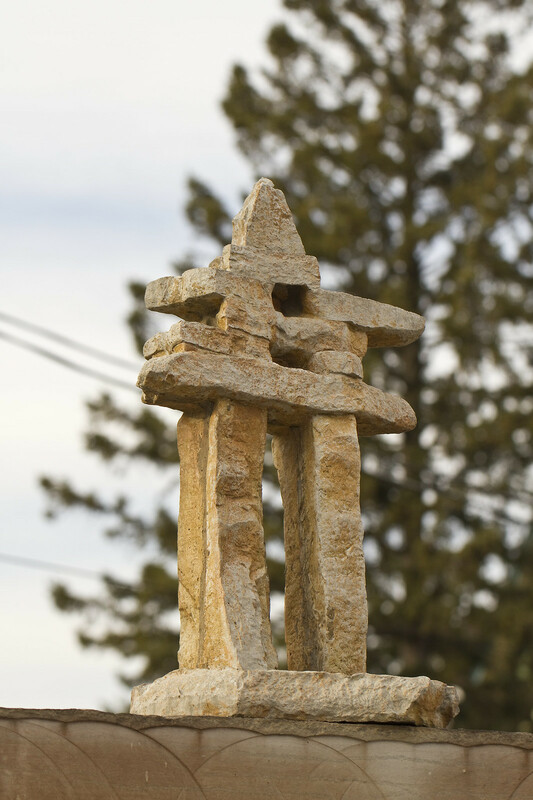 An inukshuk just outside of a business not too far from home. I am a duck. I'm cool and calm on the surface, but underneath it all is a nonstop struggle to succeed. My feet are like orange spatulas. This handsome Mallard just emerged from the Ontonabee River to graze along its shoreline - just a couple of blocks from my place. 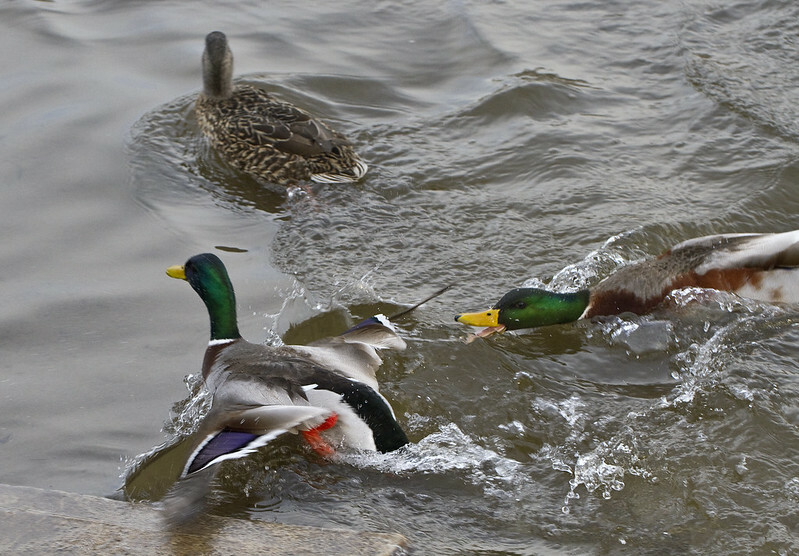 While watching the ducks, a little voice pieced my thoughts from off in the distance. 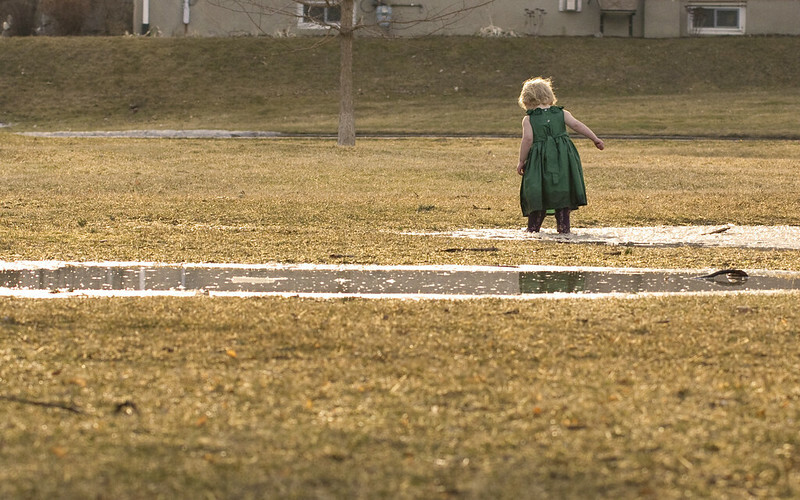 She was full of fun and glee just as you would expect when stomping puddles on a sunny spring afternoon. I chatted with her mom for a bit. A bit earlier, she had been running around barefoot. 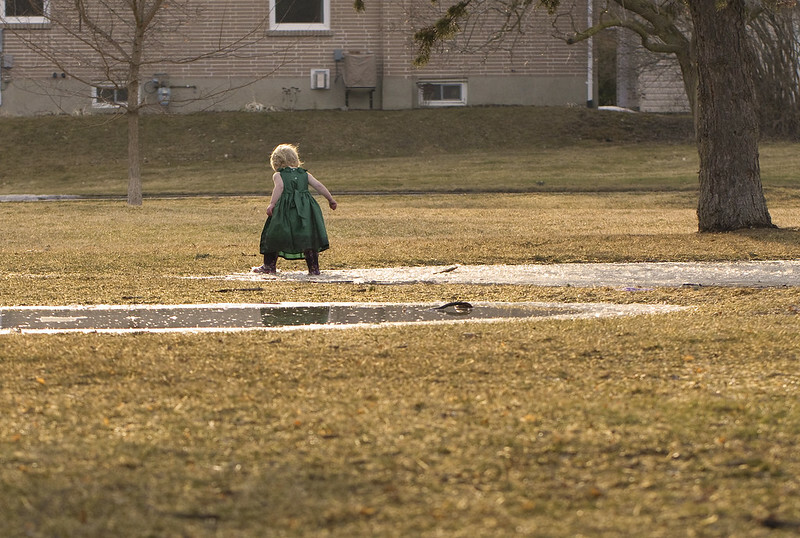 It really wasn't that warm out (15C/59F) but the sun had been strong and the kidlet was strong-willed. Eventually the chill got to her and she wanted to get back into the car to warm up. 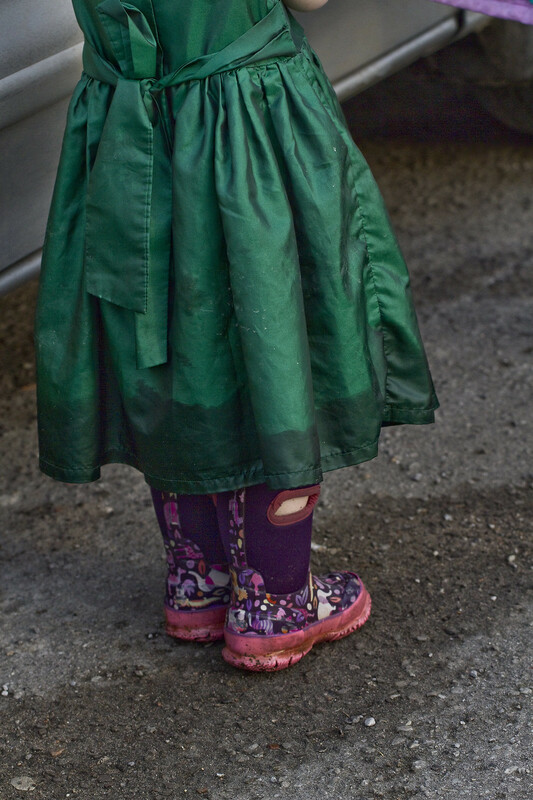 Little Ms. Princess Galoshes. 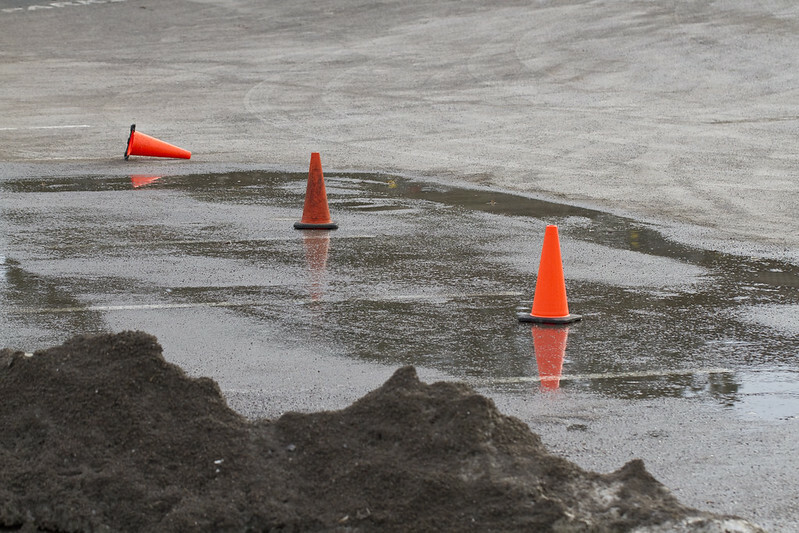 Lots of melt in this parking lot which allowed for the colourful reflections of the pylons. 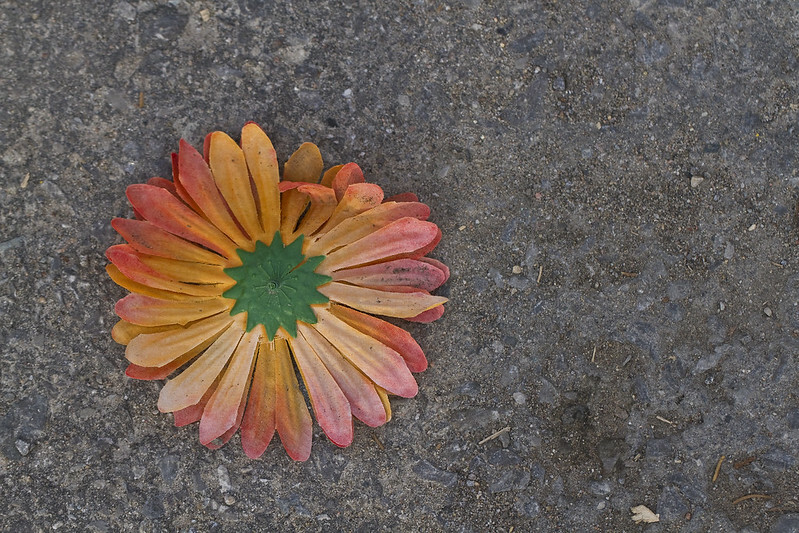 Just as I returned home, I came upon this fake flower which sat face down in the driveway. It won't be long before real flowers will brighten gardens, parks and other landscapes. 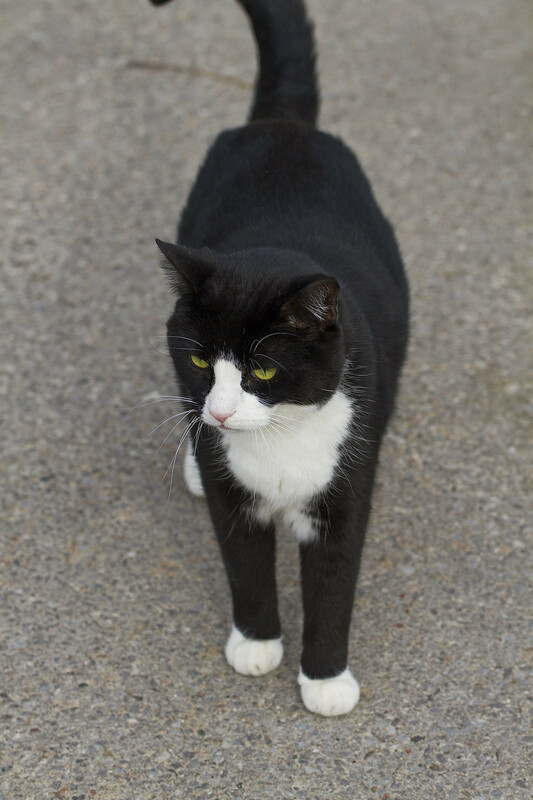 Thanks for joining me on this walk. I hope you'll be around for the next one - coming up soon! How do I know this? Well, I don't really but everywhere around me, there are sure signs of spring. 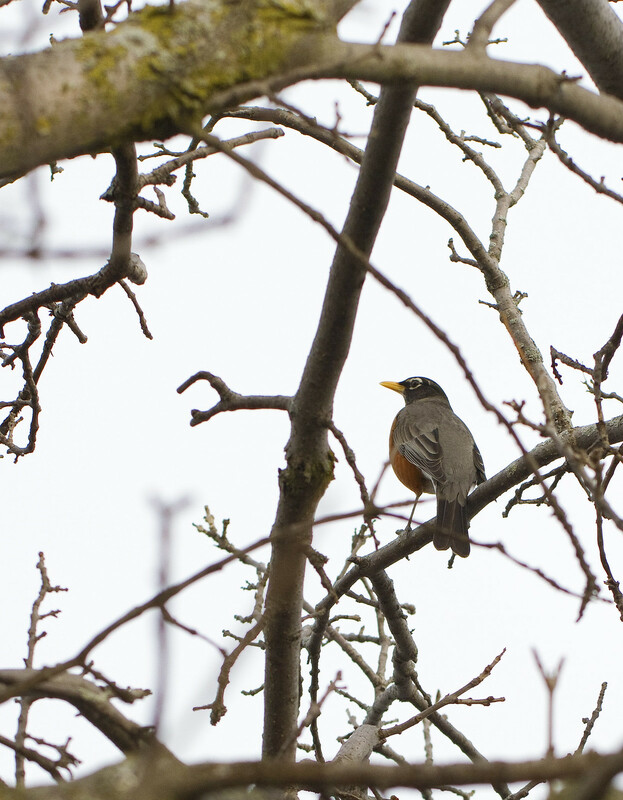 Signs like the ubiquitous robin and other warmer weather birds heard singing for their mates. 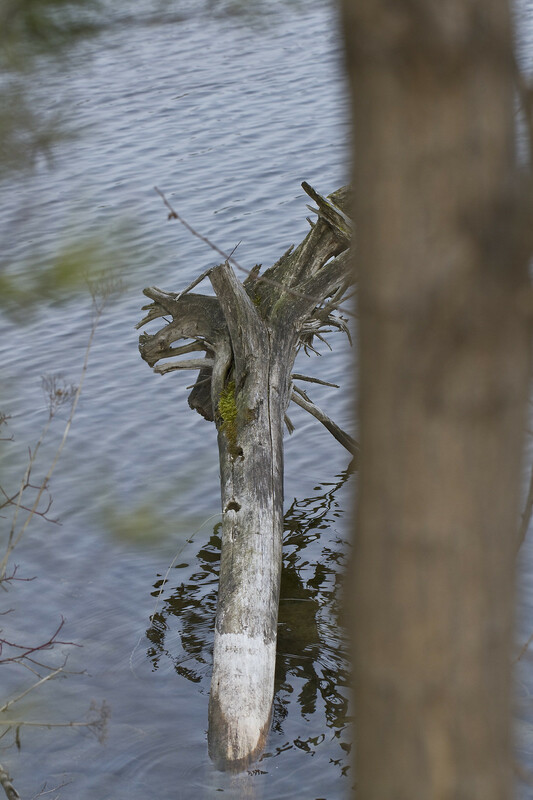 I snapped this image with a short lens, through all sorts of twigs which were partly obscuring a branch fairly high above me. I couldn't resist the robin's cheery song. Yup, I should have put the camera in video mode but alas, I did not. It's March. 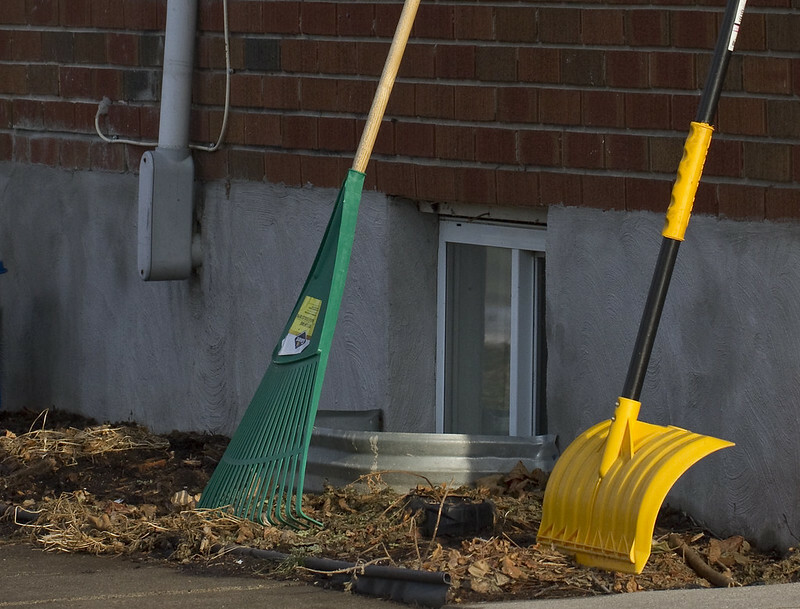 In Canada, that means that we're never sure whether we'll need the shovel or the rake, so why not keep both handy? The kids don't care about the above dilemma. 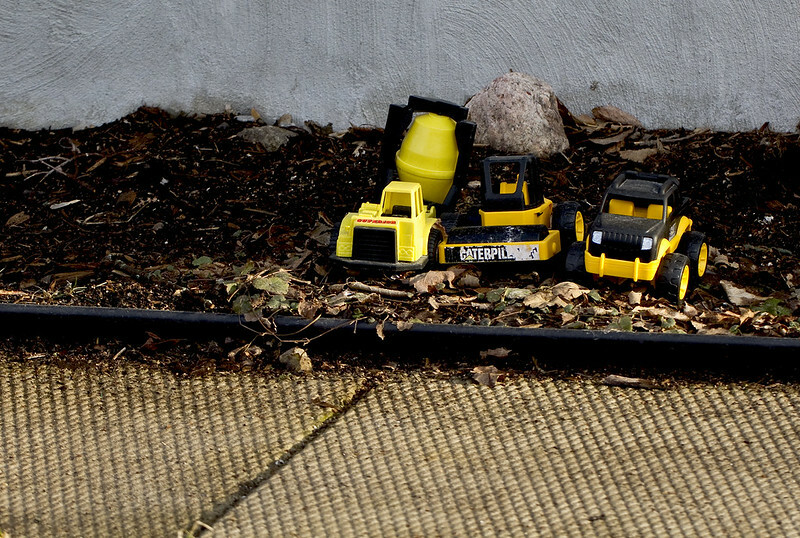 They're gung ho to dig in the snow or in the earth. I suspect these toys might come out at any time during the year. They were at the same house as the rake and shovel. 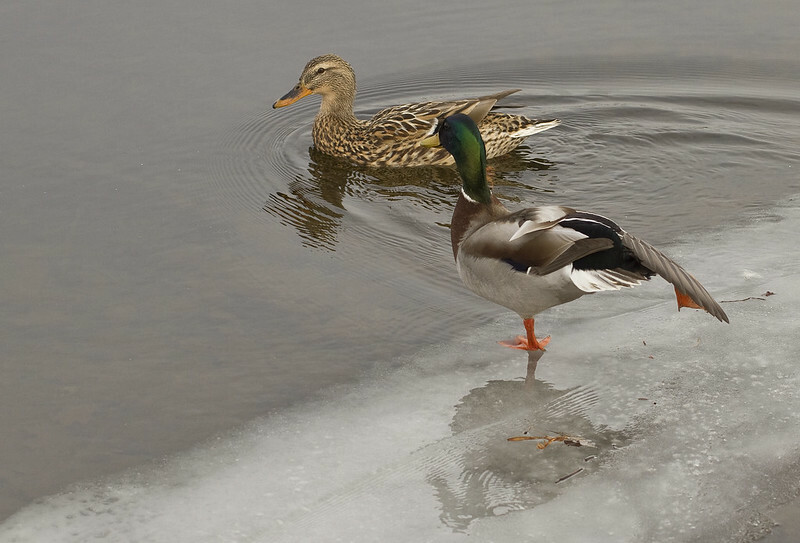 Another sign of spring is when the mallards become rather possessive of their mates, fending off other potential suitors. Of course, an even clearer sign is that there is open water in which to do that. 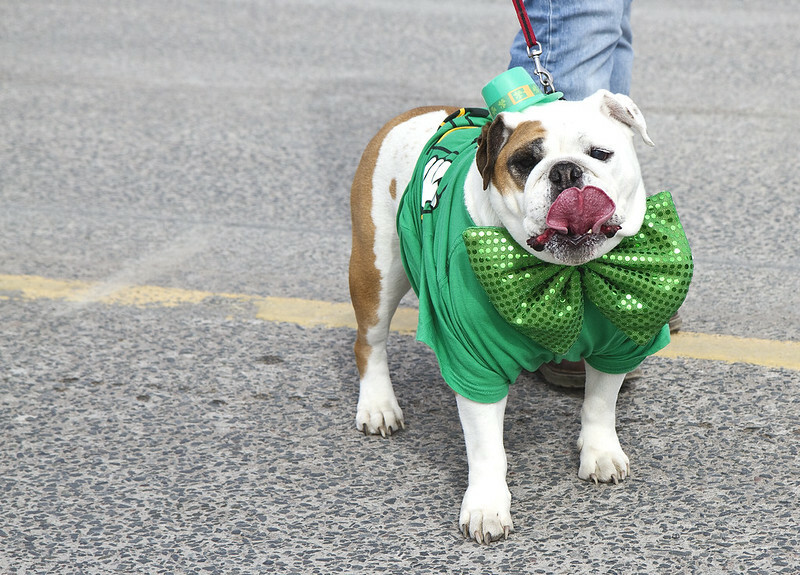 It's March and that means that St. Patrick's Day is just around the corner. 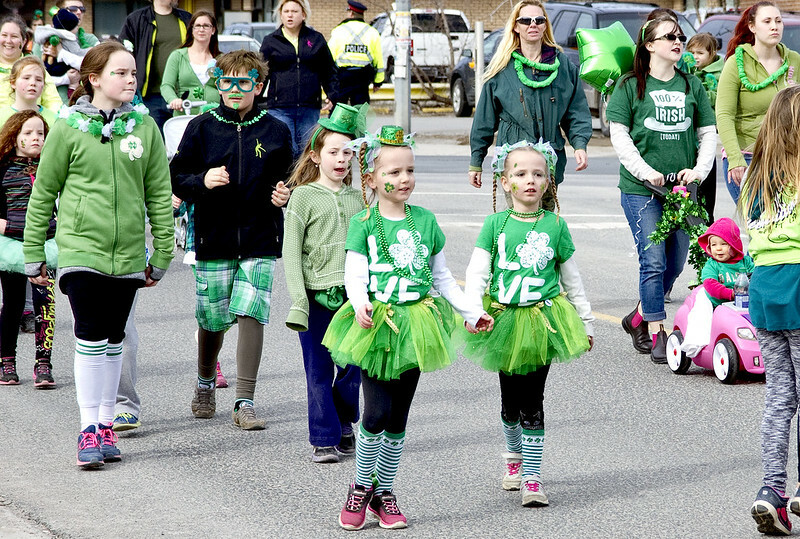 And on the Sunday before the 17th, Peterborough gives the GREEN light for the St. Paddy's Day Parade. I became aware of the event with plenty of time to plan attending. The route takes it to within a couple of blocks of my place. Judging by the recent Santa Clause parade, I estimated how long it should have taken to make its way here. And I was way off. I missed most of it but caught the tail end. Its few remaining minutes (about 15) still brought some interesting characters my way. These guys were from the nearby town of Hastings where they run an educational theme park called Blades of Glory. 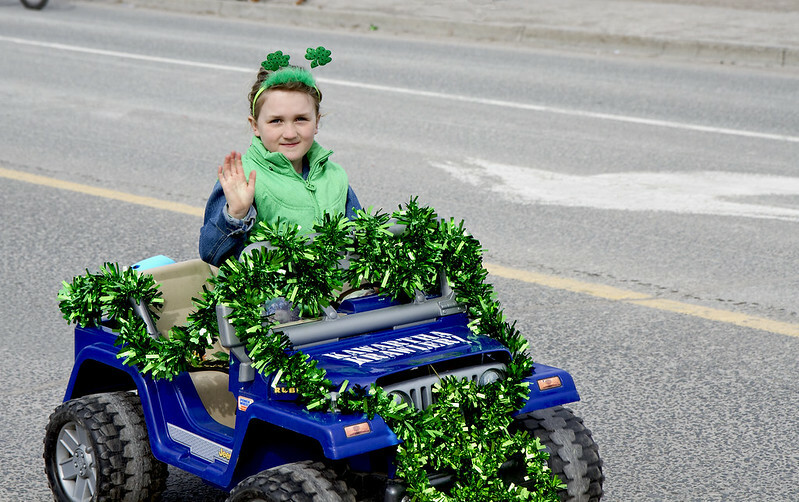 Cars and drivers, big and small were all decked out with the greenery of the day. 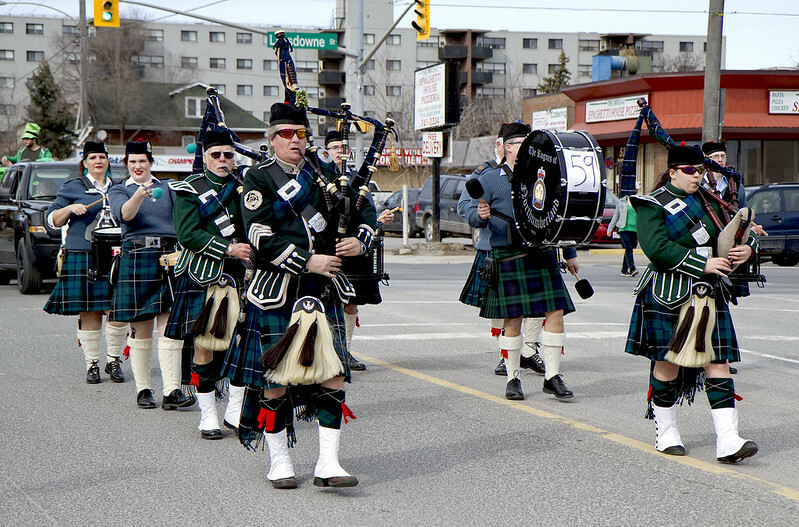 These are the pipers and drummers from The Rogues of Northumberland. This girl did her own personal version of an Irish jig. I wonder if she kept it up throughout the whole parade route. And this adorable fashionista stopped to pose for me, and throw some sloppy doggie kisses my way. Smooch! That's it for now. I've spent the last couple of weeks totally flattened by a nasty flu bug but I'm very much on the mend now, and have been getting out for walks more often. This means more photos coming up before too long. Until then, I hope you've enjoyed this emergence of spring. 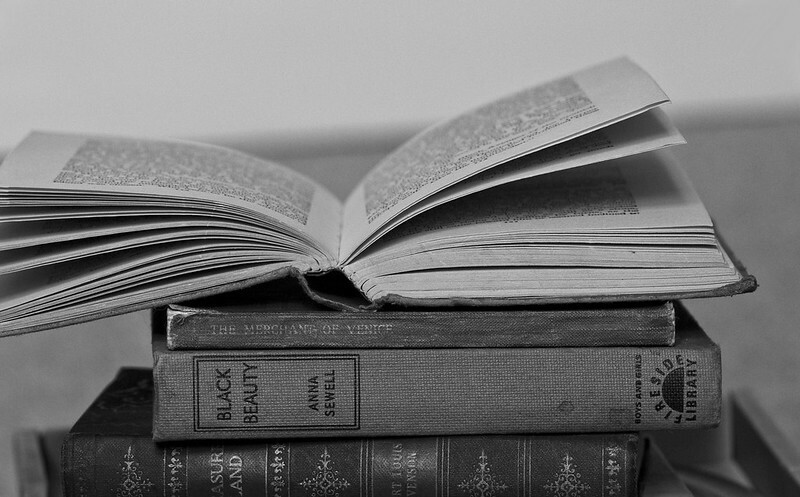 but to see in black and white is a delight for the soul. 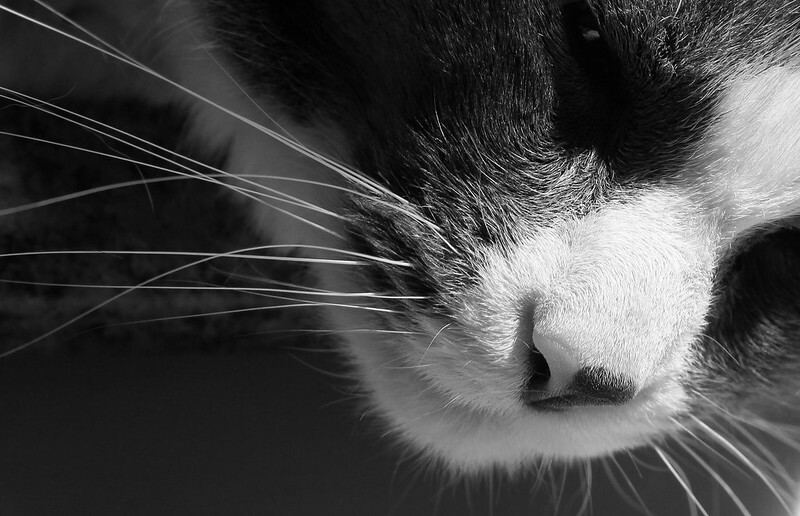 My longtime blogger buddy, Kaye of The Bucksnort Chronicles recently created a black and white photography challenge on Facebook. I tend to shy away from memes and challenges for the most part but every now and then, one catches my attention - especially if the rules are relaxed enough. They were plenty casual in this case - simply post black and white images throughout the month of February, as often or infrequently as the urge strikes. It struck a few times and those efforts are below. Of course, I have to admit that I never shoot in monochrome. 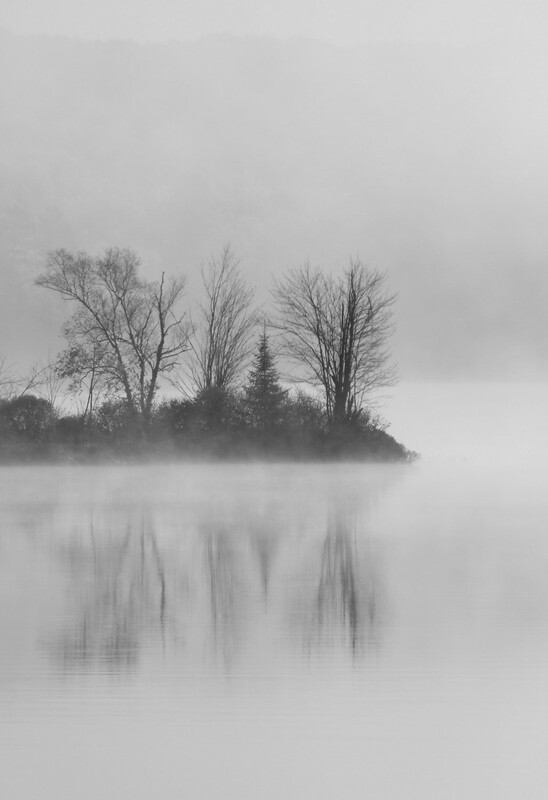 My personal challenge was just finding subjects which I thought could look better in black and white than in colour. 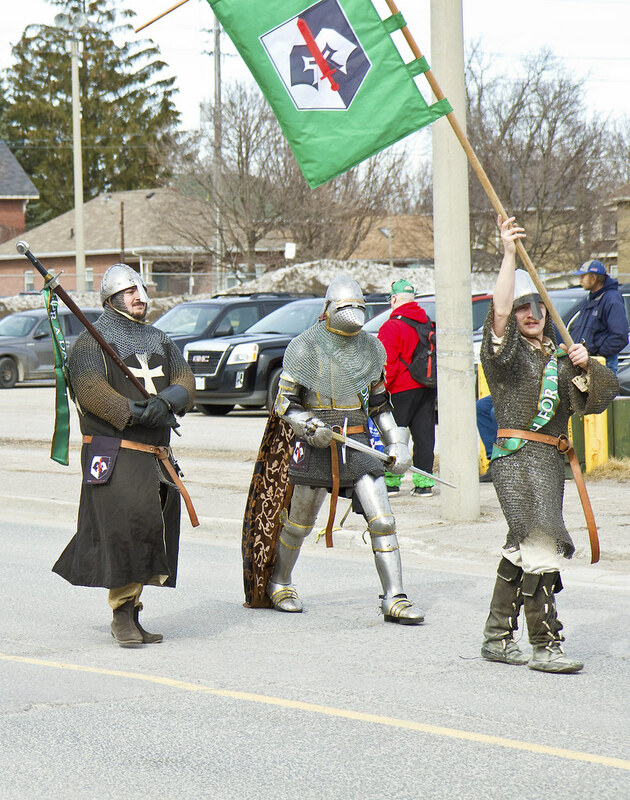 All of these images were photographed in full colour and turned into black and white photos for the event. Most have probably been posted on my blog at some point through the years. I hope you enjoy them. 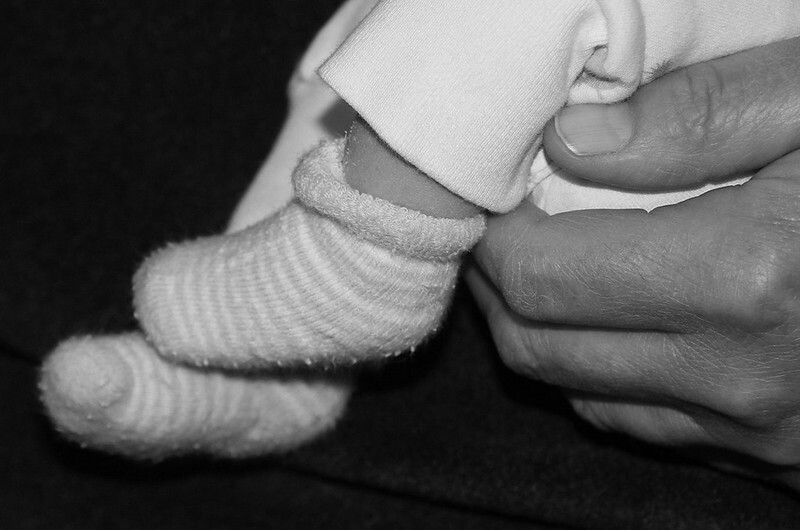 This tiny hand belongs to my past-neighbour Lilly. Remember her? That sweet little munchkin has recently celebrated her sixth birthday. Time sure flies, doesn't it? She's always been utterly delicious from tip to toe. Thankfully, I get to read about her brother's and her antics on FB, occasionally. 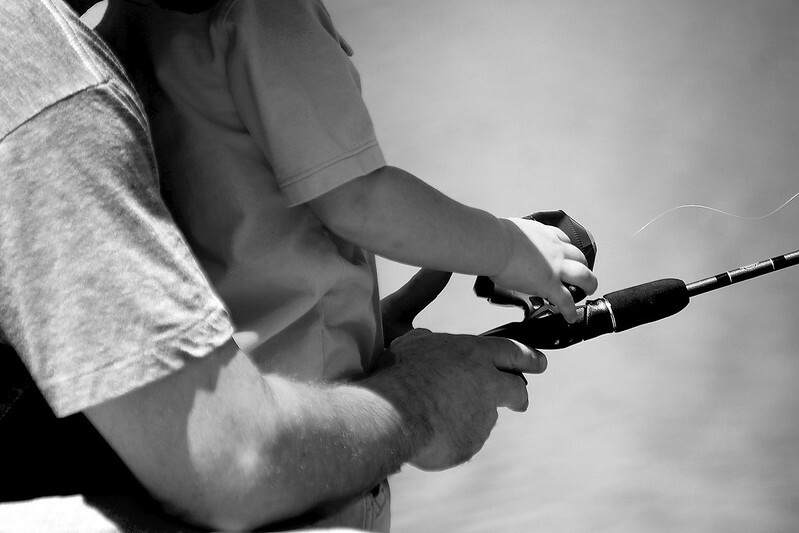 The protective arms and helping hands of a patient father teaching his child how to fish off of the dock. Same dock, different day. 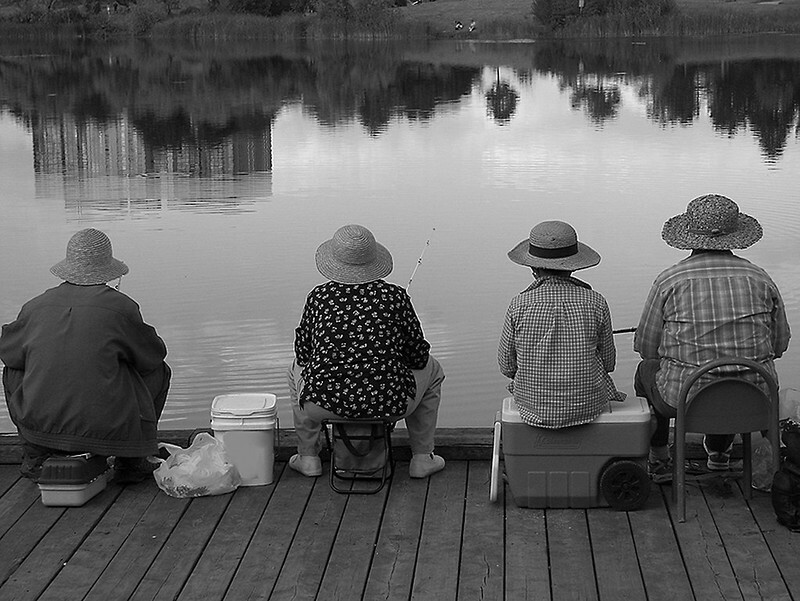 I was out for a walk when I spotted his quartet fishing. I stopped for a quick shot and then hurried along. 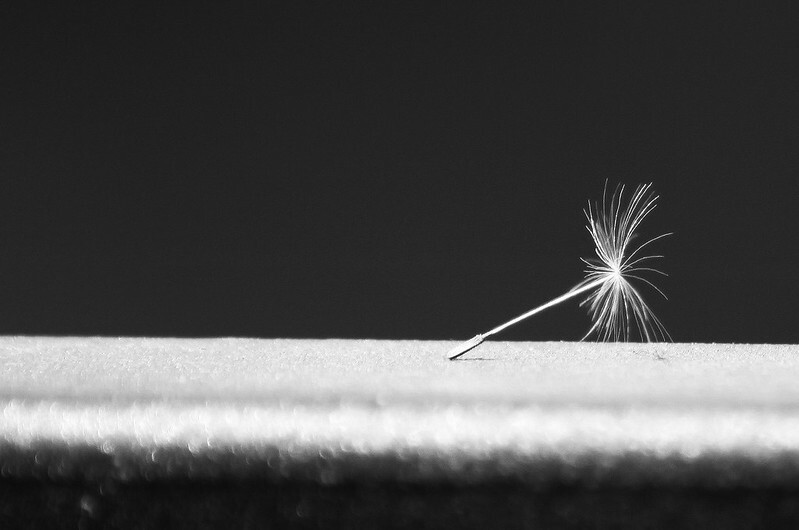 A macro view of a teeny-tiny seed which landed on a narrow railing of a different dock. 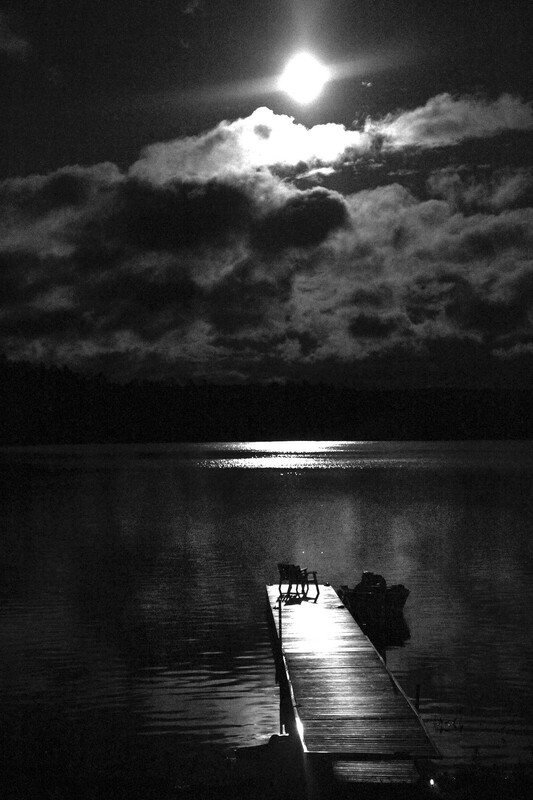 And still another dock, at night, shortly after the moon rose in the hazy sky. From hazy night to misty morning. This was the view across the bay. 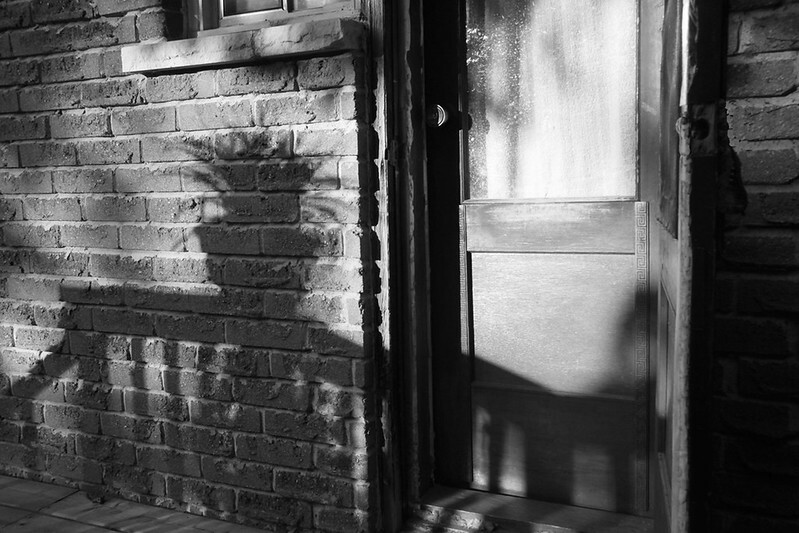 Late day sunlight presents the shadow of a planter as it falls across a back wall and door. 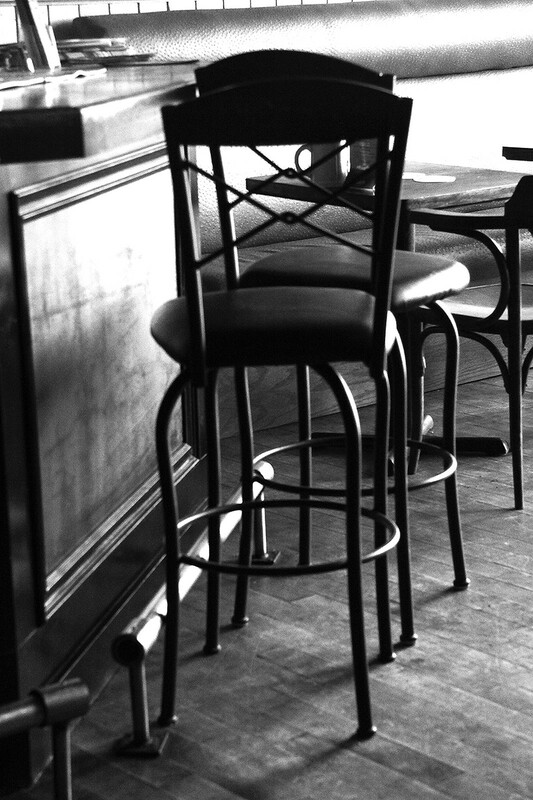 Just a couple of bar chairs which caught my eye while waiting for lunch one day, a few years back. And since we're talking about chairs and lunch, I had a decent meal at a little restaurant near my place, one day. 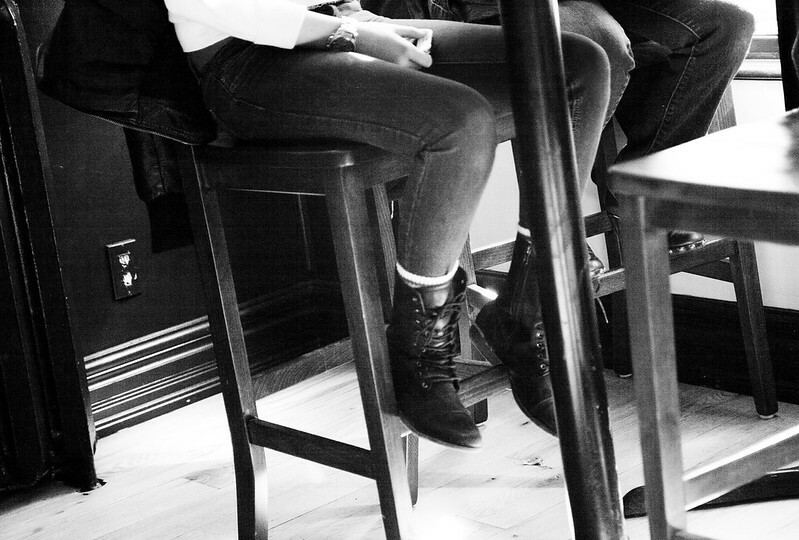 For some reason I was intrigued with getting a shot of the boots under the table. 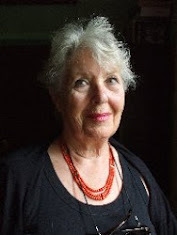 I grabbed this one on the sly - without use of the viewfinder. I just lowered the camera, took my chances and clicked blindly. It's not every day you see a bearded dragon out for a walk in the park. 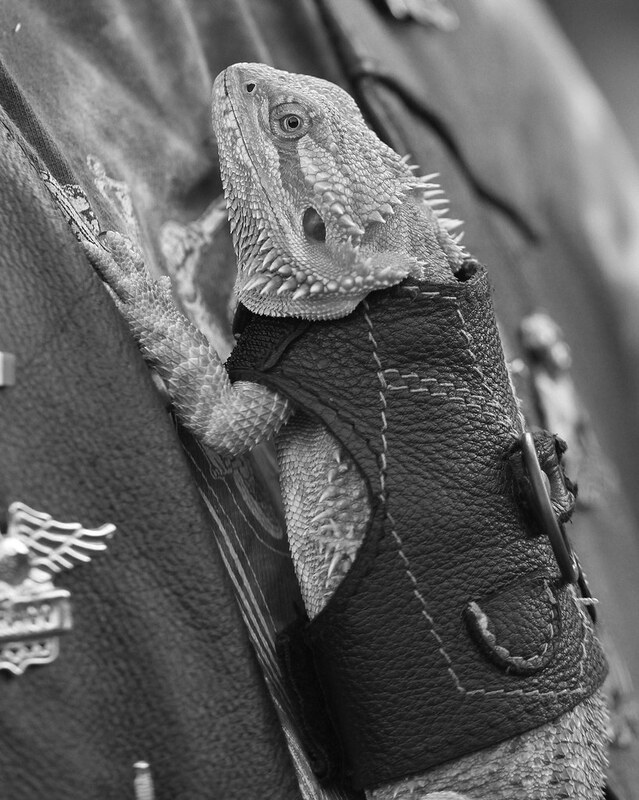 Especially when he and his person are wearing matching leather vests. My neighbour, Carol kindly gave me a few old books for which she no longer had room. Among them was a 75 year old copy of Treasure Island, a 1917 copy of The Merchant of Venice, Black Beauty from the 1930s and a couple of copies of Tom Sawyer - one from 1949 and this opened one which is undated. Zephyr's little black and white, heart-shaped nose which is magically dark grey and pink in true colour. I hope you enjoyed these. Full colour and I will return before too long.